Dr. Kirit Patel is an Assistant Professor in the International Development Studies Program, Menno Simons College affiliated with the University of Winnipeg & Canadian Mennonite University, Winnipeg. Dr. Patel has extensive experience as an academic, development policy analyst, and community development practitioner. His research is focused on food and nutrition security, farm conservation of agrobiodiversity, farmers’ innovations, technology and gender, environmental justice, and farmers’ rights. 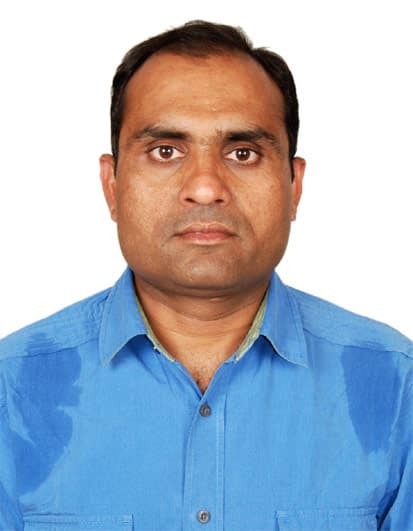 Dr Patel recently concluded an interdisciplinary project, revalorizing minor millets for Enhancing the food and nutritional security of women and children in rainfed regions of South Asia (RESMISA), funded by the Canadian International Food Security Research Fund (CIFSRF). This project involved social and plant scientists and students from five Canadian Universities, and several NGOs and research institutions from India, Nepal and Sri Lanka. Dr Patel’s work under the RESMISA project was focused on socioeconomic and policy issues affecting conservation, cultivation, production, and consumption of small millets in South Asia. Some of the work done on identifying technological constraints faced by women farmers led to current phase of SAK project, led by Dr Manish Raizada, in collaboration with LIBIRD in Nepal. Dr Patel can be contacted at k.patel@uwinnipeg.ca, Tel: 204-953-3852. Kirit Patel, David Guenther, Kyle Wiebe, and Ruth-Anne Seburn 2014 Promoting Food Security and Livelihoods for urban poor through the informal sector: A Case Study of Street Food Vendors in Madurai, Tamil Nadu, India. Food Security, Vol 6(6): 861-878. DOI: http://dx.doi.org/10.1007/s12571-014-0391-z. Kirit Patel and Kathryn Dey 2013. The Trajectory of Environmental Justice in India: Prospects and Challenges for the National Green Tribunal, in Tim, M, Trivedi N and D Vajpeyi (eds), Perspectives on Governance and Society. New Delhi: Rawat Publications, pp. 160-174. Newmaster S G , R Subramanyam, D Shanmughanandhan, J J Chitilappilly, S Ramalingam and K Patel 2013. Genomic valorization of the fine scale classification of small millet landraces in southern India, Genome, Vol 56(2): 123-127. Kirit Patel. 2004. Plants, Property and Patents: Farmers Rights over Plant Genetic Resources in Developing Countries, in Erbisch, F. H. and Maredia, K. M. (Eds). Intellectual Property Rights in Agricultural Biotechnology, second edition. NY: CAB International, p. 95-106.